As we look ahead to the prospect of our appearing in an All-Ireland final for a second successive year, it’s obvious that the Mayo football team is a pretty hot topic of conversation right now and this is reflected in the volume of comments here on the site, both from long established posters and from new arrivals, over the last week or so. Debate is always welcome on the site and the more people taking part, the better but, as the excitement levels rise inexorably, it’s important that the standard of debate is maintained. The best way I can ensure that this happens is to insist that all those who comment abide by the house rules. If you’re unsure about what these are, then please take the time to read them – here. This applies both to newbies and to those who may have forgotten what they entail. All I’m asking is that people use their common sense before submitting a comment on any topic here on the site. Most of you already do so already but there is a growing minority who don’t and this development needs to be checked now before it spirals out of control altogether. Well said.Informed debate is what is required not slanting matches. 1. Mayo have great forwards because they scored 3.18. This was against an atrocious defence and remember both Kerry and Kildare had but up big scores against poor defences. Simply we don’t know how good they are but it is likely we will never get three goals as soft again (one of them possibly illegal) my point is that there is massive room for improvement. 2.Mayo will win the All Ireland. Well that’s just unbridled optimism which is not necessarily a bad thing but we must focus on Dublin first. Some commentators fond of saying avoid hype while then saying this is the best team left. That is hype in my opinion. 3.we won’t miss Moran. This is patently untrue. He is our captain and our best player in my view . There are few forwards out there who can match him. Was it not Moran who kickstarted our comeback against Dublin in 2006? Of course others will have to improve but the loss is huge. 4. Unless some poor tackling in back line is addressed Dublin could storm us with goals Meath 2012? Higgins and Vaughan And Boyle especially will have to be tighter in my view. 5. There are forwards out there who can return or brought in.it is amazing if there are we decided to leave them till now.I would be inclined to trust James Horan on this one. Can we beat Dublin. Yes but it will be a massive shock if we do and we need to realise this. They are a good team and we will have to be the best we have been in the last two years to do it and without our best player. Now that is asking a lot but hope lives eternal. No harm to give everyone a reminder. 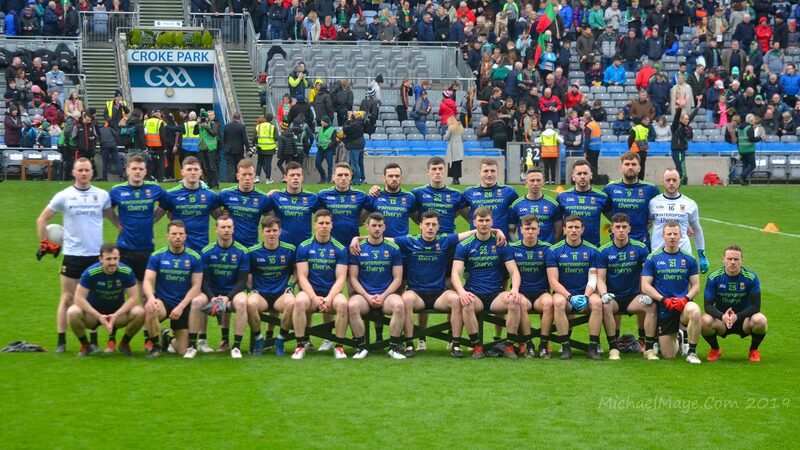 PS: On another subject (one that’s getting so much airplay on this blog) An Spailpín Fánach has written a very good piece regards Mayo and Andy Moran. Personally I don’t agree with all of it but there are some very accurate arguments made. However I do very, very much agree with the last two sentences of it. Thanks JPM, Thats a great spake by an Splalpín and might I say I agree with it entirely, both its Psychological profiling of us and the last bit as well !!! Come on Mayo let us rise ! Can’t say I agree with this pop psychology. Any team losing an inspirational figure would question it’s implications. To attribute this to a lack in Mayo morale is nonsense in my view. Mayo people do not lack in confidence ,indeed you could make the argument that given any hint of success we become over optimistic. Not sure this type of analysis is supported by any evidence at all. I do agree as everyone seems to that we have to cope without Moran but that is a long way from supporting your initial theses Spailpin. Keep the blogs coming though ,generally I agree with a lot of what you say and sure variety is the spice of life. Heard that Alan Murphy out of Mayo squad .He is injured as is McGarrity who has not responded to treatment. Mayo Co.Board running ads for help with team costs,minor,junior,senior. Time for us all to give practical support. Freeman will start.Don’t know if that’s good or bad. Expect cameo from others that might surprise.